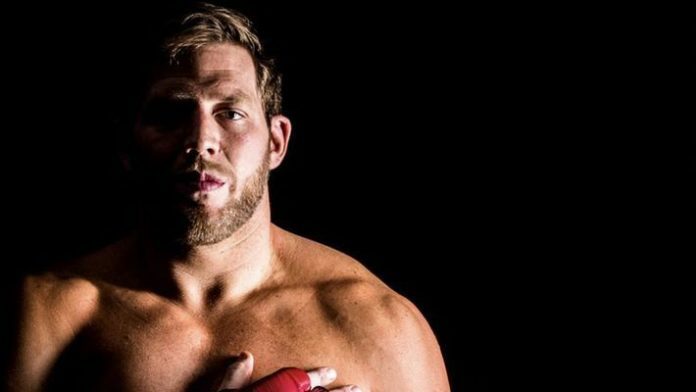 Jack Swagger insists he isn’t feeling the jitters ahead of his professional mixed martial arts debut. Swagger, real name Jake Hager, is used to being in the spotlight. Swagger was a WWE superstar. He even held the World Heavyweight Championship. On Jan. 26, the former collegiate All-American amateur wrestler will step inside the Bellator cage. Swagger will meet J.W. Kiser at Bellator 214. That event will be headlined by the Bellator Heavyweight World Grand Prix finals between Fedor Emelianenko and Ryan Bader.